I’ve written about Zilker before but I wanted to post some fresh wedding photos from a wedding a I photographed there a while back. 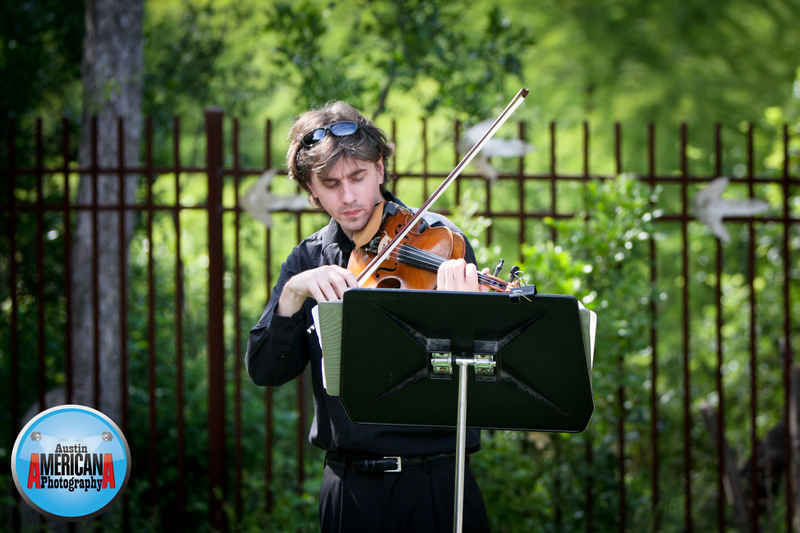 I frequently photograph engagement sessions and some bridal sessions there, but Zilker Botanical is also a wedding destination for wedding ceremonies and receptions. Although the garden has it’s limitations (I believe it’s limited in number of guests and by amount of time allowed for an event), it’s still a great choice for your wedding if it meets the specific needs and requirements that your wedding event demands. 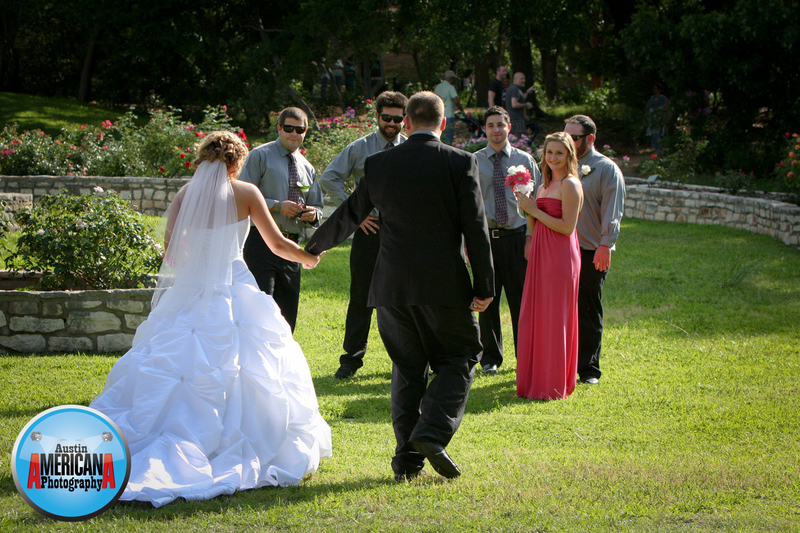 The couple who I photographed for the wedding in the photos chose to have a short, romantic ceremony in the Rose Garden of Zilker Botanical, which is one of the popular areas to host a ceremony. The bride (and everyone else) arrived dressed and ready, strolled the short distance down the hill to the Rose Garden, and completed the ceremony under a trellis decorated with vines and flowers on a sunny afternoon. Bridesmaids were dressed in pink and groomsmen dressed in black/gray with pink ties. After the ceremony everyone stayed for a few formal photos in the garden and then were whisked away to the reception which was held at a private, rural residence. As I’ve said before, Zilker Botanical Garden has to be one of the most popular places for photography of any kind in Austin. Not only is it a huge repository for plant life centered in Travis County (which is why people are drawn to it) but it’s also one of Austin’s little jewels that’s been around for many years. I’m pretty sure that the creators of Zilker never intended it to be one of the foremost popular venues for photography around Austin, but that’s what it’s become. ZBG features many different plant species and specific garden areas that are dedicated to a particular theme or cultural plant cultivation, if you will. 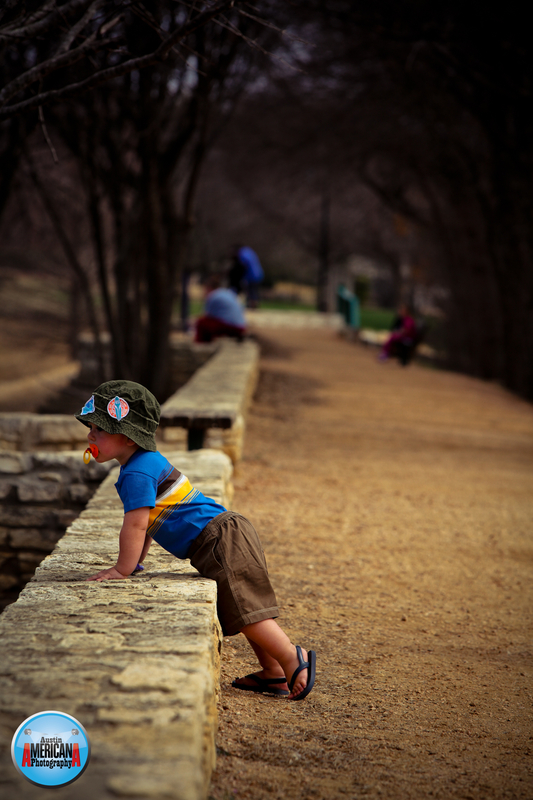 For example, one of the popular areas of Zilker is the Japanese Garden, which features Koi-filled fish ponds, stone trails leading around bamboo gardens and a structure made of stone and bamboo that only could fit into a Japanese garden . The entire area is shaded by trees and feels like being in another world. 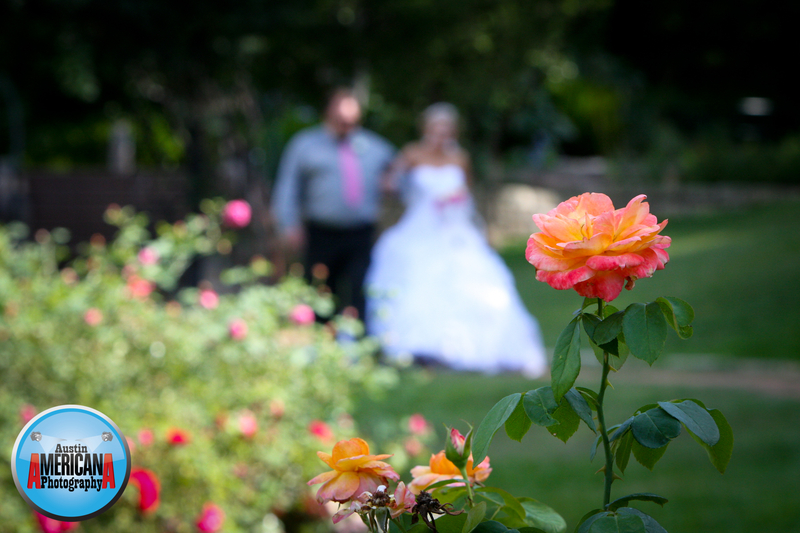 Zilker Botanical Garden also features a beautiful rose garden where weddings frequently occur (where the photos in this blog were captured, by the way). Colorful roses line the concrete paths that wind down the hill from the main entrance of the park. The Rose Garden area is very open, located at the edge of the tree line bordering the Japanese Garden. It also features a red and white gazebo next to fish ponds and a historic brick structure in the shape of a keyhole that has been apparently transplanted from historic downtown Austin. Other areas featured at ZBG are the Prehistoric Gardens further down the hill from the main office, which feature “old world” plants, pools and even a beautiful, natural-looking water fall. Toward the front of the park is an area that contains historic Central Texas pioneer homes and work areas made of wood. Ultimately there are many, many different areas of the Garden that offer photography opportunities for weddings, bridal sessions or engagement sessions. After visiting and photographing friends and family there for years I’ve grown to love and appreciate Zilker Botanical Garden for the beautiful part of Austin that it has always been and hopefully will always be! 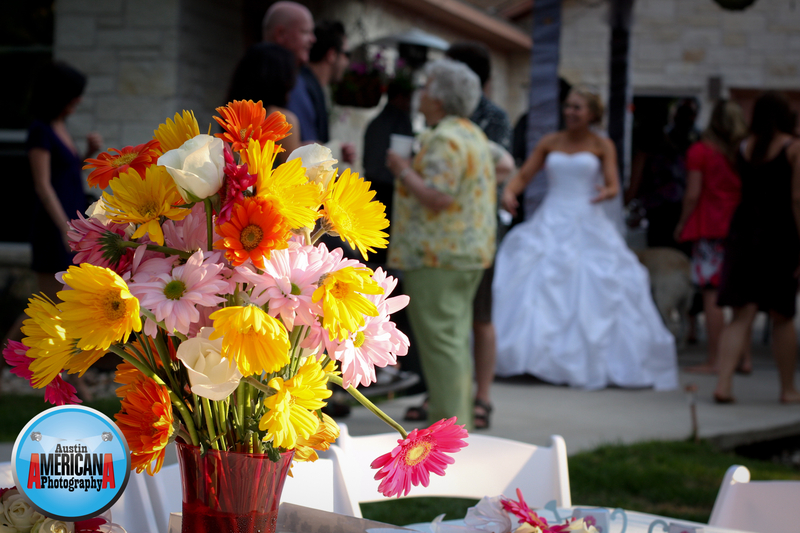 Martin Whitton is a passionate wedding and event photojournalist who lives and works in Austin, Texas. Email your questions to him at AustinAmericana@Gmail.com. This past week we visited a duck pond at a park in North Austin. 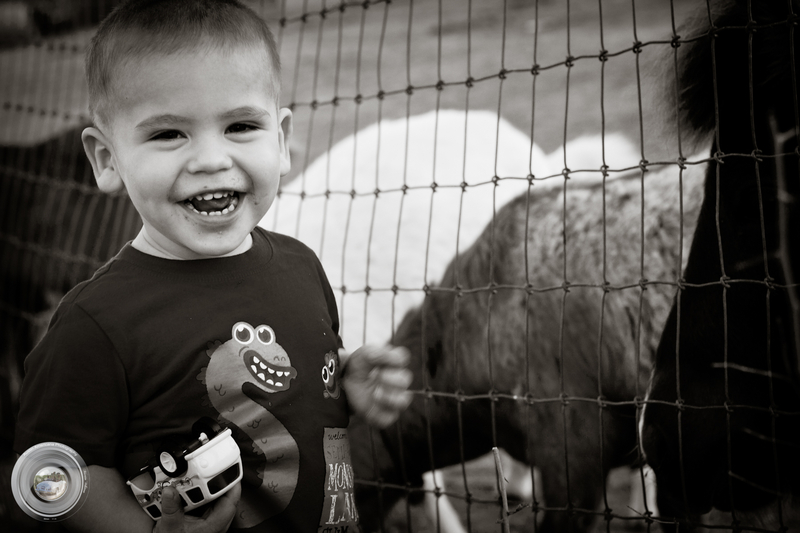 My son Roman is an avid animal lover and he loves seeing the ducks and just being outside. When I was growing up I remember spending almost all my time outdoors and I can definitely identify with him and his need to connect with nature. So it was easy for my wife, me and him to say yes to an afternoon visit to see the ducks and geese. What was funny and a little ironic was that the various water fowl didn’t really seem hungry or interested in the bread we brought them. Now I realize that bread, crackers, tortillas and other starchy foods are probably not a “normal” part of a duck’s diet, but that is what you feed the ducks when you visit, right? Unfortunately (or fortunately for the fowl) there are so many regular visitors to the pond toting food that they have lots of grub to choose from and they don’t want for something to eat. At any rate, Roman enjoyed chasing the ducks, and the occasional squirrel. I think we even got a sunburn. Go figure…it’s Texas in February…you just never know about the weather! 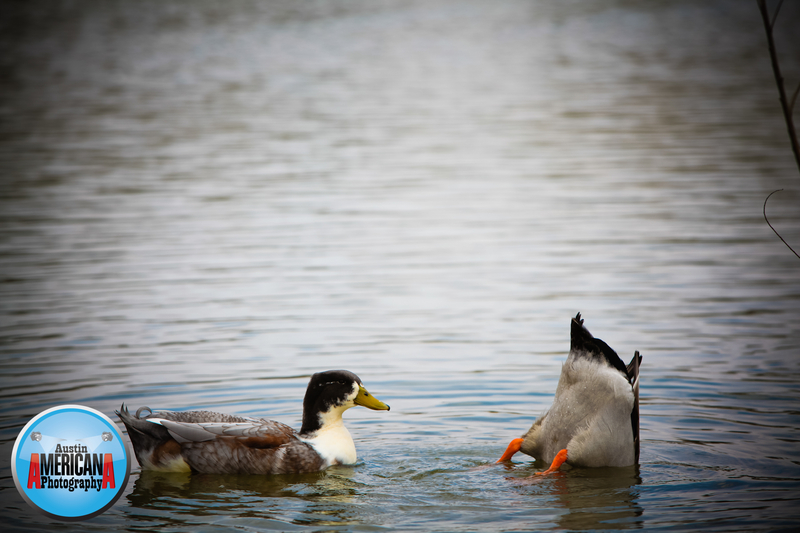 The duck with his/her head up seems really annoyed that he's being mooned by the other duck. I think it's funny! This past weekend I had the pleasure of attending a wedding for fun. Normally when I arrive at a wedding I get there an hour early, packing multiple bags of photography gear, dressed in a tie and jacket with my green tea in hand and a wedding photography schedule to work from. However this weekend I got to relax at a wedding, which was kind of nice to do. I had the privilege of enjoying myself which meant I could interact with guests and the couple without constantly racking my brain about where the best shots were and what would be happening next. The wedding was a small one, here in Austin at a place called the Zilker Clubhouse, which is located west of Zilker Park, accross Mopac. It is a small stone building that includes a simple patio that overlooks downtown Austin. The location is somewhat remote and quiet and makes you feel like you’re going camping (sort of). But when the sun begins to set, the truly beautiful view of downtown Austin’s lights begins to reveal itself. As my wife, myself and the rest of the guests finished dinner at our tables on the patio, a big orange (burnt orange by some accounts) moon began to rise just above the downtown Austin skyline, kind of like the dot that is placed just above the lowercase letter “i” – except much larger than normal. There was a rush of photo enthusiasts over to the banister to get a great skyline shot, and lots of “Ooos” and “Ahhhs”. I must admit the full moon made things feel all-the-more magical. When it was finally dark and the toasting was complete I headed over to get a photo myself. I knew that it would be tricky because there was almost no light outdoors other than some dimly-lit, overhead lamps and the ambient moonlight, which means I’d need to complete the shot with a VERY slow shutter speed. In order to do this one normally needs a tripod. I improvised and found a table that gave me a decent view of the Austin skyline as the moon ascended. 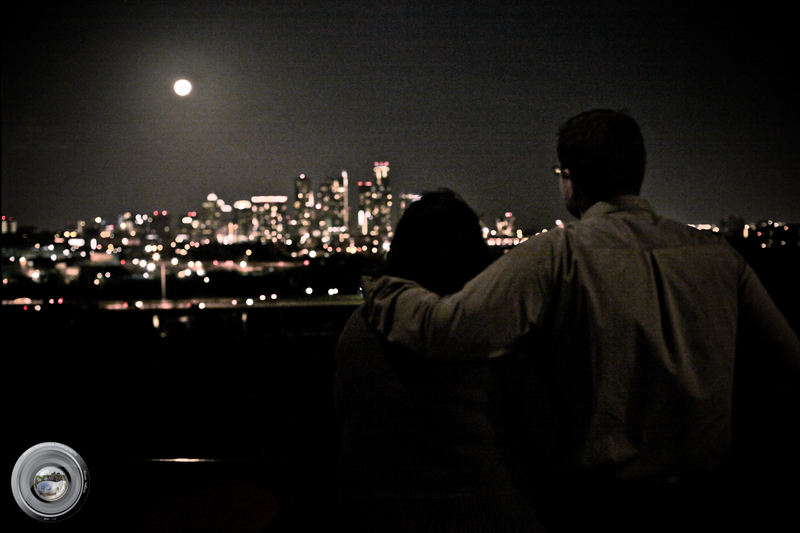 I not only captured a few shots of the skyline itself, but one that I liked of a couple who were having a romantic moment gazing off into the wonderful view of downtown Austin. At any rate, I just wanted to share a few photos. I didn’t even bother packing a flash unit for the event, so I don’t have any of my standard, artificially lit shots to share; just some good ‘ol, home grown snapshots using the tried and true photo techniques. I must say that my photos don’t do the view that we saw any justice, though. That moon was awesomely beautiful and big. Technical details: the panoramic shot of downtown itself was shot using my 5DMii with a 50mm lens (not ideal for this situation, I know, but I get tired of carrying the larger lenses), approximately 2s shutter speed, ISO 500 and F9.0 aperture. The couple shot was approximately 1/50s shutter speed, ISO 6400 and F2.8 aperture. 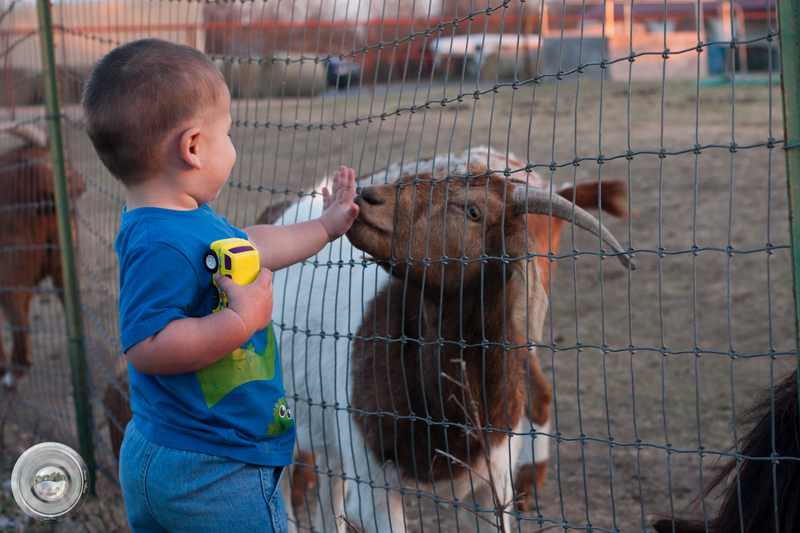 Roman visited the goats and horses in our neighborhood earlier in the week. 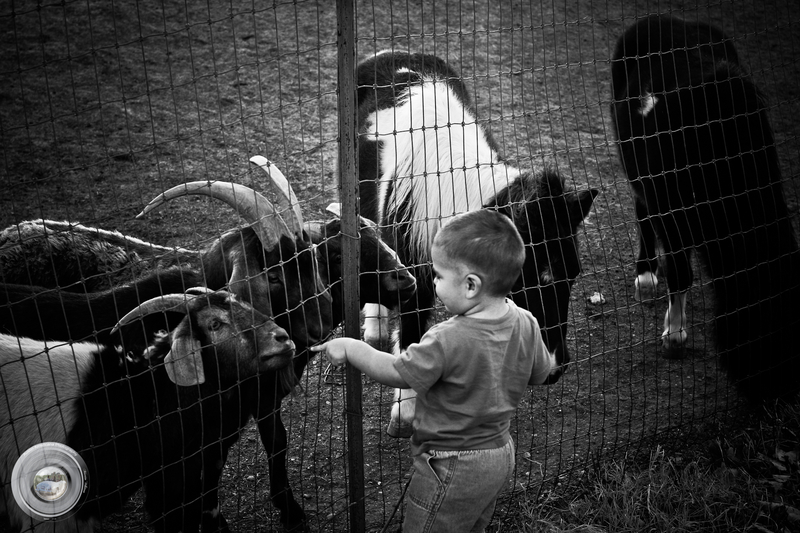 We have the convenience of lots of small farms and farm animals near our home and he loves to visit the goats and mini horses that live just a short walk from us. Happy Friday! The wedding photographer is tasked with a stressful, difficult job – take great photos of a constantly evolving, mobile event (with no re-takes or do-overs) and do it with grace and confidence. Experienced photographers, as well as most new photographers and photo novices who try shooting weddings and end up quitting understand this pressure. Being a wedding photographer is a job kind of like being a rodeo cowboy; it looks exciting and fun, but behind the scenes the preparation and expectation, as well as the physical and psychological toll required to complete the job can be overwhelming. So imagine adding one more challenge to the balancing act: other photographers. It seems like a recipe for disaster. Scenario 1: The Sniper. 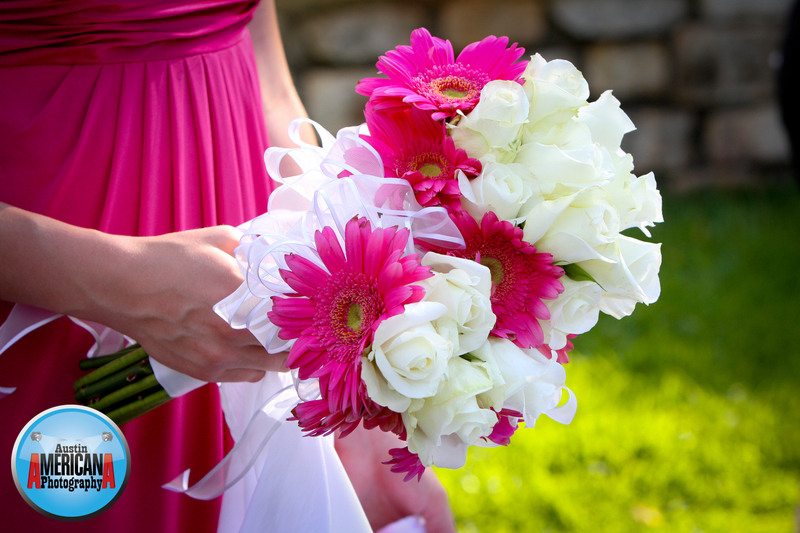 You’ve photographed the bride and bridal party as they stroll down the aisle toward the altar. 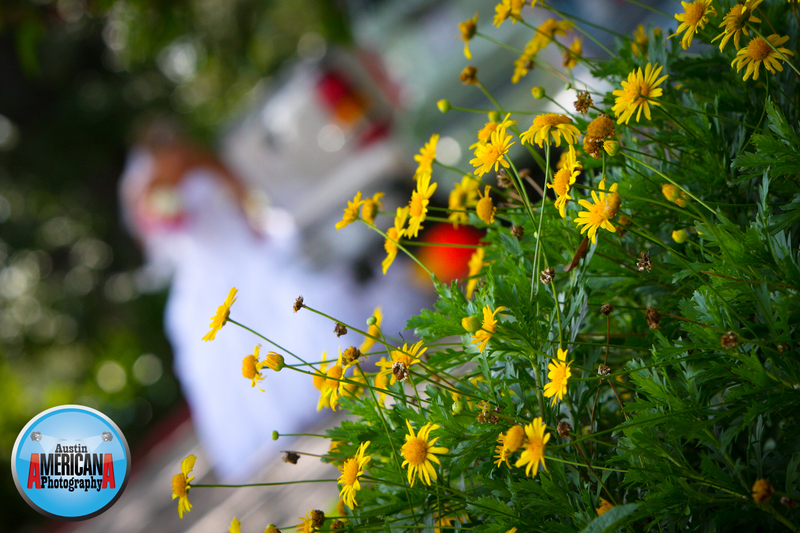 You settle into a nice spot where you can quietly capture some intimate photos of the bride and groom exchanging vows. As you focus the lens of your camera on the bride and groom you realize that in the background (behind the bride and groom) one of the guests is moving around trying to get a photo of the wedding couple, and he’s in your frame, essentially ruining the shot! Scenario 2: The Paparazzi. It’s time for the toast. A large group of guests assemble around the bride and groom to “clink” their glasses in celebration of the new life that has begun between the bride and groom. As you glance around to find the best place to position yourself, you realize that the large group of people is tightly packed around the bride and groom and many of them don’t have champagne glasses; instead they are donning cameras and are intent on getting photos. 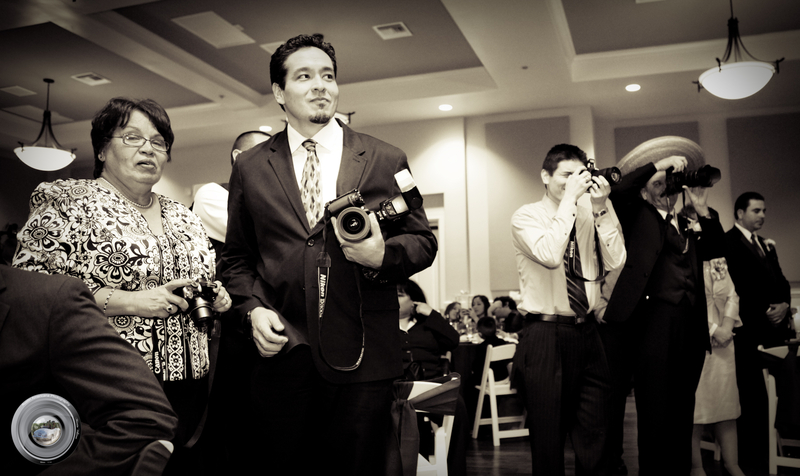 And, unfortunately, there are many other situations where guest photographers will challenge your ability to get the best shot at a wedding, such as during formal photos and other important events involved in the wedding ceremony and reception. So how do you avoid having problems and focus on getting the best shots while being courteous and respectful to the bride, groom and their guests? The first thing that you as a professional wedding photographer can do to prepare for a wedding is to meet with the bride and groom. Listen to what they want from you and ask them questions if needed. Meeting(s) with the bride and groom can be your opportunity to explain how important capturing photographs of their wedding day is and how you appreciate them choosing you over other photographers. Obviously, it’s not good to scare the newlyweds, but it’s definitely ok to define yourself as “the” wedding photographer. 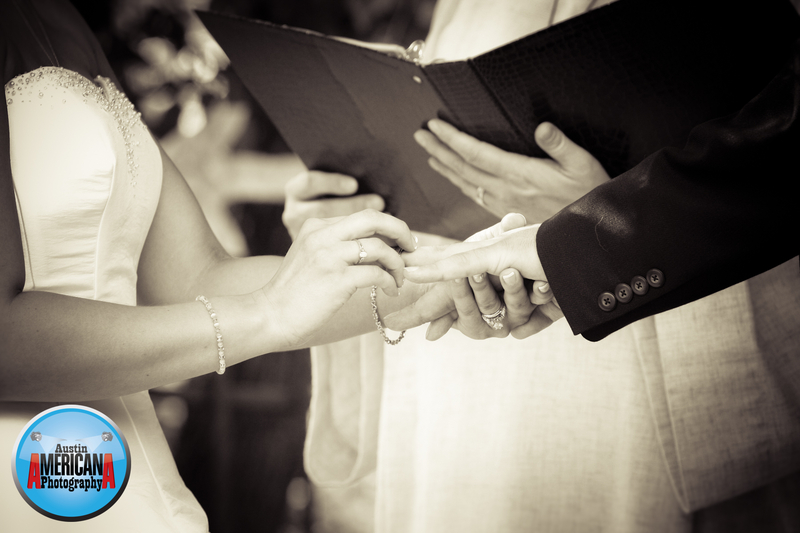 It’s important for the bride and groom (and anyone else attending the wedding, for that matter) to know that a professional photographer (you) are being paid good money to provide photographic coverage for the wedding. And as such, the photographer should be given free license and full authority to photograph everything, free from limitation, i.e., free from guests hanging out of the pew into the aisle trying to get a cell phone snap shot of the bride. Obviously, human behavior is unpredictable. And we can’t tell guests what to do. 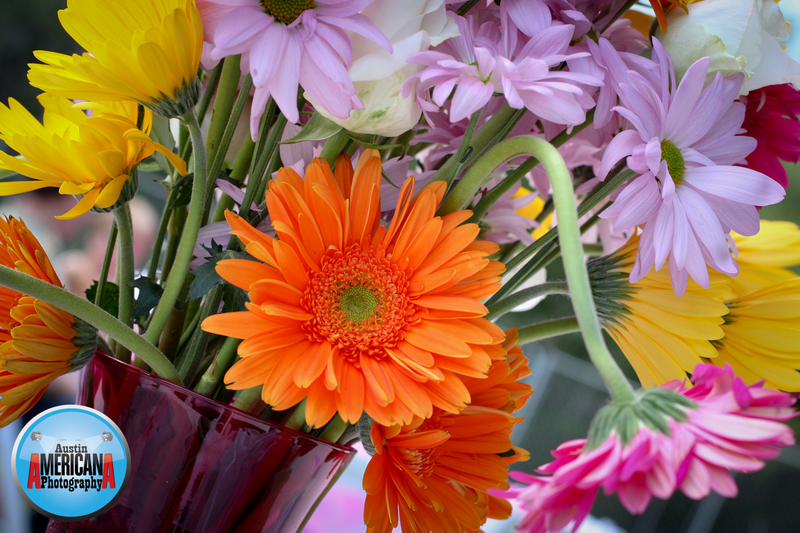 We want everyone at a wedding to have fun and enjoy the day. But at the same time, it’s important for you as the photographer to empower the bride and groom with this knowledge of photographer privileges so that they can share it with others who will be there on wedding day. Because ultimately, if I’m following the bride down the aisle as her official photographer, and a guest hops out in front of me to take a picture (believe me, it’s happened), there’s no undoing the shot. Now let’s talk about insurance. We live in the digital age where the way we photograph everything is different. In the old days (picture the 1980s :)), getting “the shot” was of the utmost importance. Photographers had to make sure everything was ready and right before pressing the shutter button on their camera. After all, there were limitations; each roll of film that was used costs money, and there was a finite number of rolls of film that any photographer would bring to an event. In addition, equipment used for low-light photography (which is needed for most weddings – think dark, candle-lit rooms with few windows) was not as good then as it is now. These days we have high powered flashes, an abundance of fast lenses, great editing software and amazing technology for processing light in cameras. In 2011, I can shoot a wedding continuously and go home with 3,000+ images to choose from (note: I don’t usually shoot that many). Having the ability to use top-notch equipment and shoot digital with almost unlimited capacity for images means that I am bringing an insurance policy to weddings. I am hedging my bet, insuring that I will get lots of great images from each event, thanks to technology. So even if someone steps into the shot, 9 times out of 10, I’ve already gotten a very similar shot prior or after the instance where someone stepped in and blocked my vantage point. The same reasoning goes for the “sniper” scenario above. Problem solved. So what about the paparazzi? Again, part of the solution to avoiding the paparazzi scenario is education. Brides need to let their guests know that it’s ok to take photos, but that it’s also important to her and the groom to allow each important event during the wedding to be captured appropriately by the official photographer who is being paid to cover the event. The second part of the solution is assertiveness. 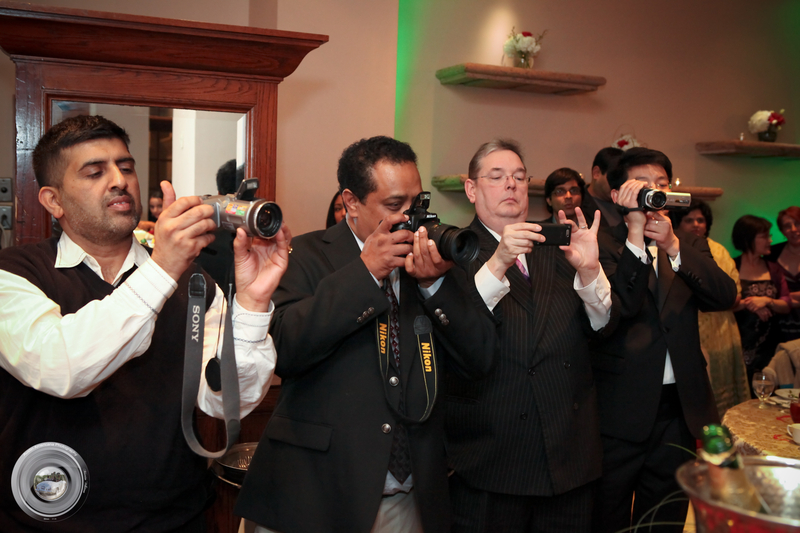 Be courteous but assertive when you are charged with photographing an event. 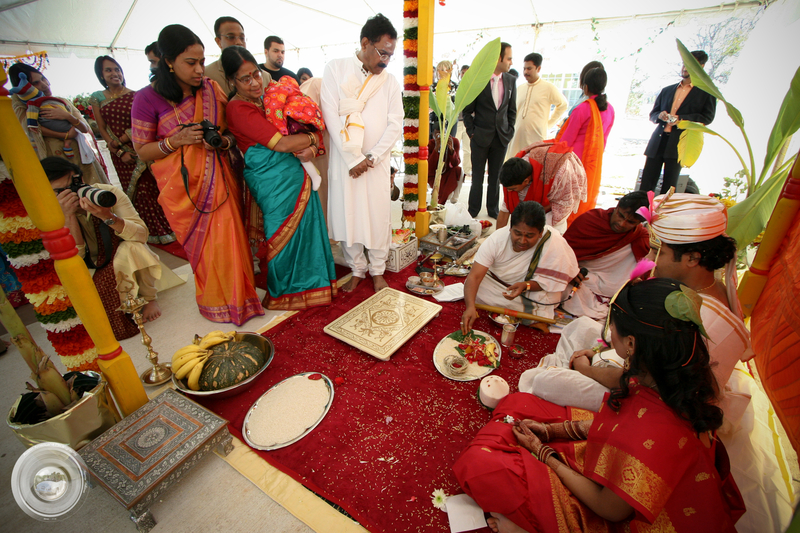 It is obviously very important to your client to have photographs of their event and they have put a lot of faith in you (the photographer) to act in their stead to capture those precious, meaningful moments. Keep that in mind when you politely ask guest to give you a little space. You can also advertise that you are the official photographer, albeit in a somewhat quiet way. You don’t need a bullhorn to announce to everyone your intentions (ok, maybe during formal photos). All you need to do is look the part. Have you ever been to a costume party in full costume? I’ve always noticed that if you attend the party donning a special costume, you get treated differently, perhaps even better than if you just showed up wearing what you do every day. So do the same at a wedding. 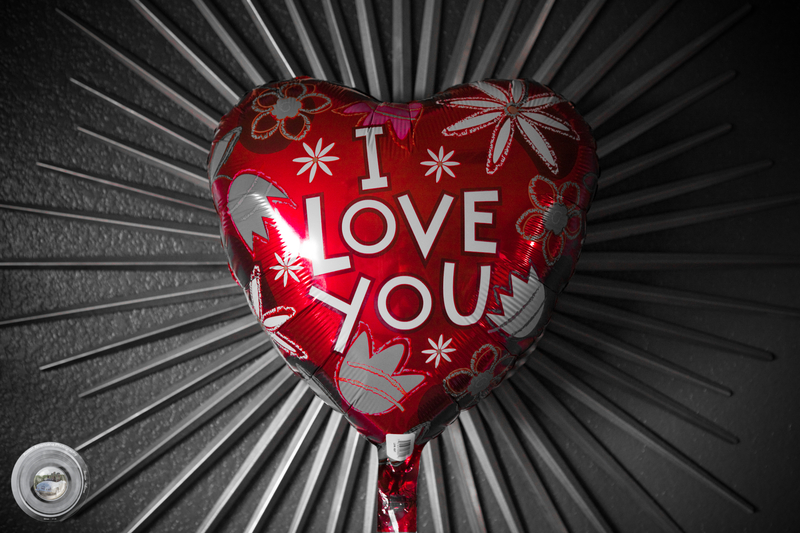 Show your clients and their guests that you are serious and professional with your work. Dress up and include a lanyard with an ID badge with your company’s logo. People make judgments every minute about the way a person looks, is dressed or carries themselves. 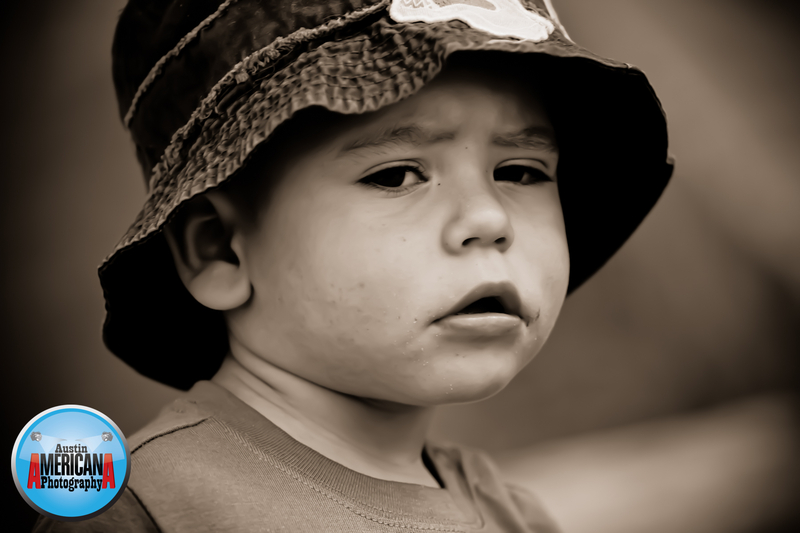 What judgment do you want your clients to make about you? Ultimately, I don’t have a solution for every possible shot. Every now and then something or someone will find itself in your shot when you don’t want it there. Your job as a wedding or event photographer is to show up for the event prepared for the worst, expecting the best and ready to handle anything that gets thrown at you. I’m sharing all this because it has worked for me, and I’m certain it can work for anyone else. Good luck with your shooting! My philosophy on the art of photography is that there are always going to be better photographers than me out there photographing people and things. So it’s my job to become the best photographer that I can be by learning from those who know more than I do about photography. As a wedding photographer I’ve developed a system that has been very successful at capturing great wedding photographs and is consistent – 2 things that are important when it comes to being a great wedding photographer. But what I’ve recently realized is that I’ve neglected some other niches of photography that I really love. I’ve been so focused on photographing weddings and sharpening my skills related to wedding photojournalism in Austin (the the business of wedding photography) that I’ve neglected my love of portrait and studio photography. And in the bigger picture, I’ve not been shooting much art photography, which can be fun and rewarding. So I’ve decided that I’m going to take a chance and juggle a few things at once. While continuing my wedding Austin photography business I’m going start making more time for fun portraiture (like modeling, headshots, etc.) and also shoot more fun stuff that would be considered closer to “art” (whatever that means). To kick off my new ascent into more portraiture I’ve joined a group of photographers called the Austin People Photography Group, which is hosted by MeetUp Austin and features instruction from one of my favorite Austin photographers, Tim, of Exquisite Photography. Tim frequently holds seminars and workgroups for professional photographers who are honing their skills in a particular niche field of photography, such as model photography, portrait photography, and much more. I recently attended on of Tim’s MeetUp groups and really learned lots of great tips for improving my photography. He arranged for a model to be onsite for the attending photographers to shoot and provided lots of guidance for our session. I’ve included some of the photos I snapped of our model.